Dr. Angel David Nieves, Associate Professor of Africana Studies and Digital Humanities at Hamilton College, is also the Director of the American Studies Program, a founding member of the Cinema and Media Studies (CNMS) concentration, and in 2010 was awarded The John R. Hatch Class of 1925 Excellence in Teaching Award at Hamilton. Dr. Nieves also serves as Co-Director (w/Janet Simons) of Hamilton’s Digital Humanities Initiative (DHi), a $1.75 million Andrew W. Mellon Foundation Grant funded project (http://www.dhinitiative.org). Dr. Nieves received his interdisciplinary Ph.D. in the History of Urban Development and Africana Studies from Cornell University. His co-edited book (w/Leslie Alexander), ‘We Shall Independent Be:’ African American Place-Making and the Struggle to Claim Space in the U.S.(University Press of Colorado, 2008), examines African American efforts to claim space in American society in the face of fierce resistance. Dr. Nieves has published essays in the Journal of Planning History; Places Journal: A Forum of Design for the Public Realm; International Journal of Media and Cultural Politics; Safundi: The Journal of South African and American Studies; Resilience: The Journal of Environmental Humanities, and in several edited collections, including Places of Pain and Shame: Dealing With Difficult Heritage (Routledge, 2009) and The Heritage of Iconic Planned Communities: The Challenges of Change (UPenn Press, forthccoming). He has served as Associate Editor, of Fire!!! : A Multimedia Journal of Black Studies, an on-line only journal of the Association for the Study of African American Life and History (ASALH). Dr. Nieves’s recent scholarly work and community-based activism critically engage with issues of race and the built environment in cities across the Global South. He is acting as an advisor to “The Power of Place,” a permanent exhibit at the Smithsonian’s National Museum of African American History and Culture scheduled to open in 2015. From 2010 to 2013 he worked with a team of undergraduate students from Middlebury College on the Soweto Historical GIS (SHGIS) Project, and in 2014 he was awarded (w/ Dr. Alyson Gill, formerly of Arkansas State University) an NEH Office of Digital Humanities Start-Up Grant of $59,510 for “Dangerous Embodiments: Theories, Methods, and Best Practices for Historical Character Modeling in Humanities 3D Environments.” The award was for the development and testing of a comprehensive typology for avatar (graphical representations of a user or the user’s character) creation in historical simulations in digital heritage environments. Dr. Nieves was elected to the Board of Directors of the Africa Network, a consortium of national liberal arts colleges that actively promote the study of Africa through scholarship and teaching, and his digital research and scholarship have been featured both in Newsweek and on MSNBC.com. Nieves has recently been awarded a major grant (w/ Dr. Kim Gallon, Purdue University) from the National Endowment for the Humanities for $245,299 to direct a digital humanities summer institute at Purdue University in 2016 and Hamilton College in 2017 (“Space and Place in Africana/Black Studies: An Institute on Spatial Humanities Theories, Methods and Practice”). The grant is one of only three NEH Advanced Topics in the Digital Humanities Summer Institutes awarded nationally. Gregory Lord is the Lead Designer and Software Engineer of the Digital Humanities Initiative (DHi) at Hamilton College, leading the creation of the varied web and graphic designs that represent DHi, and lending his skills as a web programmer to the design and implementation of its digital projects as part of DHi’s Collection Development Team. 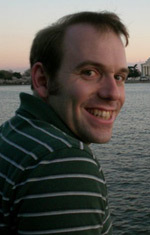 Prior to his work at Hamilton and DHi, Greg began his work in the digital humanities as the designer and web developer of the Maryland Institute for Technology in the Humanities (MITH) in 2005, and continued to develop his design and programming skills as a freelance web developer and small independent business owner from his home state of Maryland. 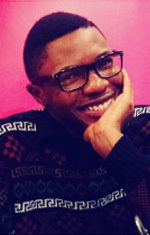 Greg holds a BA in English from the University of Maryland, where he studied creative writing, focusing his design and programming background upon the creation of digital and interactive literature. A lifelong gaming enthusiast and advocate of educational gaming and simulation, Greg currently works with Hamilton students as an instructor in DHi’s CLASS program, teaching a variety of multimedia topics including video game narrative, game design, 3D modeling and animation, and games/simulation programming. 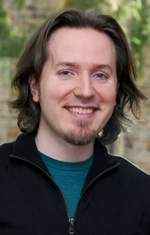 Greg has led DHi and Hamilton’s work with the Blender 3D modeling and animation software, and the Unity game engine, developing projects including virtual recreations of historic sites, interactive fiction, and video game prototypes. 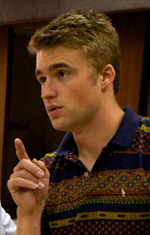 Greg has also helmed the independent design and development team, ZenGrove Design, LLC, since 2009. As the owner and lead developer, Greg has worked on a wide variety of projects for clients including the New York Public Library, the Folger Shakespeare Library and Theater, the University of Maryland, Hamilton College, and a number of local businesses in the Washington, DC area. This work has included design of all kinds, including websites, graphic design and advertising campaigns, and 3D animations and games, and development efforts including databases, web applications, and data-mining/text-analysis tools and algorithms. Sâmia Pedraça is currently a Ph.D. student at Concordia University. She was a Master’s student in Humanities Computing at the University of Alberta, Canada. 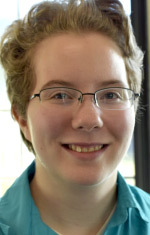 Interested in game studies, she intends to research the development of narrative in contemporary video games and the connections between new technological affordances (especially the usage of 3D) and sophisticated storytelling. She works as a research assistant at Edmonton Pipelines and GRAND NCE (University of Alberta) and was previously a consultant at SET Simulated Environment Theatre (University of Waterloo). 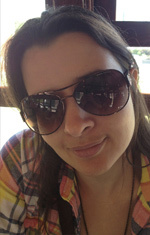 Sâmia is a journalist and graduate of Universidade Federal do Espírito Santo. Hailing from Miami, Terri is a member of the class of 2017. An Africana Studies major, Terri is working with Professor Nieves on the Soweto Historical GIS Project. He joined the DHi his junior year in order to learn more about the intersections of technology and history, and how he can utilize his writing skills to share the stories of others. For fun, he likes to unpack the various messages present in Japanese anime and write poetry. Talia Vaughan is a member of the class of 2018 from Madison, New Hampshire. She is a Religious Studies major with other interests in Anthropology and History. She started her work with the Digital Humanities Initiative in her sophomore year, working first on the NOLA project, transcribing oral histories for use in the collection. She is currently working with Dr. Nieves on the Soweto Project, completing projects such as a timeline of the Mandela family home, mapping of mine hostels surrounding Johannesburg, South Africa, and beginning work on digitizing and preserving artifacts from Soweto. Through her work with the DHi, Talia is hoping to improve her technology skills in order to explore the possibility of documenting and preserving the voices and concerns of minority groups and individuals. 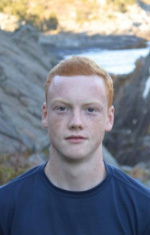 Jack Hay is a member of the class of 2019 from Essex, Massachusetts. 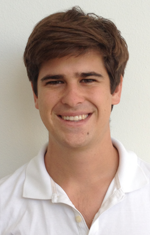 Jack is a Computer Science major and is working with Dr. Nieves on the Soweto project. He has experience in the field of computer-aided design and architecture as well as coding. His work includes the modeling of houses in ArchiCAD. Jack hopes to work as a software engineer after his time at Hamilton. 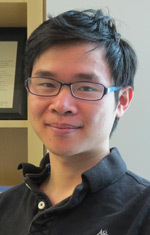 Kevin Xiao was a Computer Science major (and Economics minor) at Hamilton College. He got involved with the Digital Humanities initiative during the second semester of his Junior year while attending “Introduction to Digital Humanities” taught by Prof. Nieves. He currently assists Greg Lord with DHi’s 3D modeling and virtual environment projects, including Blender and Unity-related tasks. 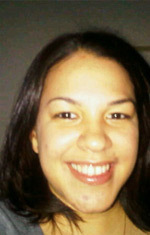 Gabriela Arias—Gabi for short—was born and raised in New York City; however, she has called Wallkill, NY home since 2001. As a member of the first generation of her family to be born in the United States, she is proud of her roots. She considers the African ancestry of Dominicans from across the diaspora central to her identity as a Dominican-American woman. The history and culture of Afro-Latinos fascinates her and is an academic interest which she has been fortunate enough to explore at Hamilton College. An Africana Studies major, Gabi is especially interested in the intersections between institutions of public history and the process of historical preservation in communities across the African diaspora. Throughout her college career, she researched the complex relationship between personal and family histories, particularly in marginalized communities, and their preservation in the archives. For the past two summers, Gabi held internships where she was engaged in digital archival work and humanities-based technology research. In 2009, she aided in building an online, interactive digital archive dedicated to the 1976 student protests in Soweto, South Africa. This summer, she delved into two exciting research based internships. First, at the Center for Puerto Rican Studies, Gabi processed and digitized their extensive collections on the LGBT Puerto Rican community in New York City. Second, she interned at El Museo del Barrio and aided in the development of their website and potential mobile application. An aspiring archivist, Gabi intends to begin graduate school in the fall of 2011 in a Library and Information Sciences program with an emphasis in cultural heritage archival preservation. Brynna Tomassone was a member of the class of 2012, just having returned from her junior year abroad as part of the Hamilton College Academic Year in Spain program. Ms. Tomassone is double majoring in Hispanic Studies and Africana Studies, with a particular interest in the socio-politic-linguistic influence of the African diaspora on women in the Caribbean. Ms. Tomassone will deliver a paper entitled ‘The Use of Study Abroad in the Development of a Global Multicultural Perspective for Preservice Teachers in both Kenya and the United States’ at the International Conference on Education at Kenyatta University, Nairobi, Kenya, East Africa in July, 2011. Additionally, she is completing a Culture Liberal Arts and Society Scholar (CLASS) fellowship, working on a Digital Humanities project documenting the Soweto uprising in 1976. In collaboration with Dr. Angel Nieves and his work on the Soweto ’76 Digital Archive, Ms. Tomassone is hoping to raise awareness to social justice issues by linking global perspectives and the human experience. 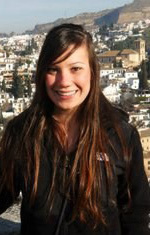 Ms. Tomassone plans to pursue her scholarly interests in graduate school abroad. 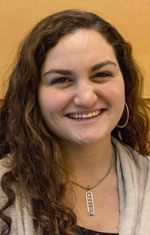 Allie Goodman was a member of the class of 2015 from New York City. She majored in American Studies with a minor in Sociology and Cinema and New Media. As an intern with the Digital Humanities Initiative Allie is working with Dr. Nieves on the Soweto Historical GIS (SHGIS) Project, mostly as a research intern. She is exited to continue learning much more about Digital Humanities, DHi’s developing role in academic fields, and contribute to the efforts to incorporate Digital Humanities and Digital Scholarship in academia. She is thankful for being able to participate in the initiative! Andrew Powers was born and raised in the Pacific Northwest close to the waters of Puget Sound. At the bright age of 19, he headed east to Middlebury College, where he studied geography under an incredible faculty of daring thinkers. Andrew loves history, maps and transformative technology… Probably why SHGIS is the best job he’s ever had. He currently lives in Seattle. Ali Khangela Hlongwane’s career in the arts began in the 1980s with theatre studies under James Mthoba at the Federated Union of Black Artists (FUBA) in Johannesburg and his association with the Soyikwa Institute of African Theatre where he appeared in various plays and also worked as a tutor, theatre technician and tour manager. He holds a Ph.D. in Heritage and an MA in Public Culture and Biography and Society both from Wits University. He is currently employed as Deputy Director: Culture in the City of Johannesburg and is the former Chief Curator of Museum Africa in Newtown Johannesburg and was previously the Chief Curator of the Hector Pieterson Memorial & Museum in Orlando West, Soweto. He participated in the development of public projects on the trails of the June 16 1976 Uprisings. In 2007 he managed the incorporation of the Kliptown Open Air Museum as a branch of the Hector Pieterson Museum and played a role in the development of the June 16 1976 Interpretation Centre in Central Western Jabavu. He is co-editor with Sifiso Ndlovu and Mothobi Mutloatse of Soweto 76-Reflections on the liberation struggles. Commemorating the 30th Anniversary of June 16, 1976 and editor of Footprints of the “Class of 76”: Commemoration, memory, mapping and heritage. 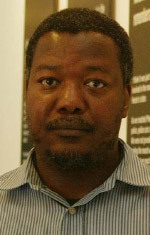 He has published in various journals including the Pan African Journal, Journal of African Cultural Studies and Safundi: The Journal of South African and American Studies. His research interests are in heritage, memory, commemoration and the life histories of Pan Africanist Congress activists (veterans). 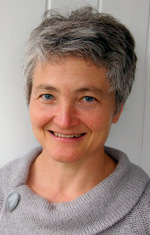 Anne Kelly Knowles was Associate Professor of Geography at Middlebury College. She previously taught at the University of Wales, Aberystwyth; Wellesley College; and George Washington University. Her books include Mastering Iron: The Struggle to Modernize an American Industry 1800 – 1868 (University of Chicago Press 2012), Calvinists Incorporated: Welsh Immigrants on Ohio’s Industrial Frontier (University of Chicago Press 1997), Placing History: How Maps, Spatial Data, and GIS Are Changing Historical Scholarship (ESRI Press 2008), and three other edited volumes on the use of GIS in historical research. Her work has been supported by fellowships from the American Council of Learned Societies and National Endowment for the Humanities. Anne’s recent book project, Geographies of the Holocaust (Indiana 2014), is a “timely contribution to the ongoing emergence of the spatial humanities.” Her ongoing research with the Holocaust Historical GIS project is funded by the National Science Foundation. Alyson A. Gill (Ph.D. University of Memphis, 2004) was associate professor of Art History and founding Director of the Center for Digital Initiatives (www.astate.edu/cdi) at Arkansas State University, whose field of expertise is Greek art and architecture. When in Greece on a Fulbright scholarship, Gill began to realize the need for new ways to represent architectural models that she was studying, and in 2006 began to use 3D models for her own research on a spatial analysis of the Greek bath in the ancient sanctuary after participating in the NEH summer institute “Models of Ancient Rome.” As a direct result of collaborative relationships developed in that institute, she applied for and was awarded an NEH Digital Humanities Start-Up grant in 2007 for a collaborative 3D modeling project with Coastal Carolina University entitled, “Ashes2Art: Virtual Reconstructions of Ancient Sites.” In 2008 Gill launched the first of what would become a six ‘sim’ (simulated environment) virtual campus in the multi-user virtual environment Second Life, and in 2010 she began to replicate the campus in OpenSim—an open source multi-user virtual environment and Unity. Gill has published in digital archaeology and recently co-edited a special edition of Visual Resources (2010) entitled “Continuous Crossroads: New Directions in the Digital Humanities.” In February 2012 Gill assumed the role of Associate Editor of Digital Applications in Archaeology & Cultural Heritage, an online peer-reviewed journal for cultural heritage. In 2011 Gill was appointed Director of the Center for Digital Initiatives, a Center of Excellence at ASU created under her leadership, and since then the CDI has created online 3D models of key ASU heritage sites, and has worked on extensive visualization projects with almost every college at the university and with groups across the state. Gill has been deeply involved with the Computer Applications in Quantitative Archaeology conference as a presenter, session chair, and member of the scientific committee for the past six years. In 2013 Gill was PI on an NEH Advanced Topics in the Digital Humanities Summer Institute, “Humanities Heritage 3D Visualization: Theory and Practice,” that was co-hosted at Arkansas State University and University of Arkansas-Fayetteville. 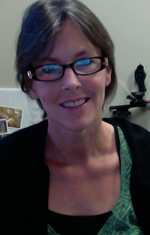 In 2014 she was awarded (w/Angel David Nieves) an NEH Office of Digital Humanities Start-Up Grant of $59,510 for “Dangerous Embodiments: Theories, Methods, and Best Practices for Historical Character Modeling in Humanities 3D Environments.” The award is for the development and testing of a comprehensive typology for avatar (graphical representations of a user or the user’s character) creation in historical simulations in digital heritage environments. Doug Reside became Digital Curator for the Performing Arts at New York Public Library in January of 2011 after serving for four and a half years on the directorial staff of the Maryland Institute for Technology in the Humanities (MITH) at the University of Maryland in College Park. He holds a BS in Computer Science and a BA, MA, and Ph.D. in English Literature. 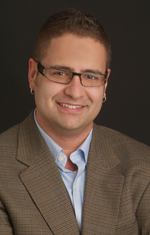 He has been a PI on three earlier startup grants (The Ajax XML Encoder, Music Theatre Online, and the Collaborative Ajax Modeling Platform) and the co-PI with Tanya Clement on the “Off the Tracks” workshop. Additionally, he is the original project director of the NEH Preservation and Access funded Text Image Linking Environment (TILE) which is scheduled for release in the summer of 2011.